The above image shows a dwelling known as Pantglas, which is situated in the village of Gwynfe, Carmarthenshire. The man sitting with the children is named Morgan Morgan, who is reputed to have laid the foundation stone of Llandeilo Bridge. 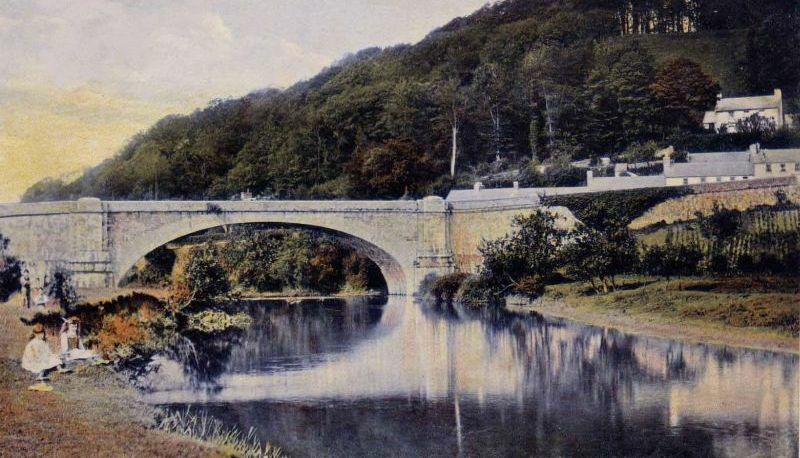 He also worked as an apprentice on Llandeilo Bridge and it was his father, also named Morgan Morgan, who was the original stone mason contracted to build the well known bridge. Pantglas c.1885 with Morgan Morgan next to the gate. The family later built a house named Bryncoch, also in Gwynfe and this is shown on an old map dated 1891. 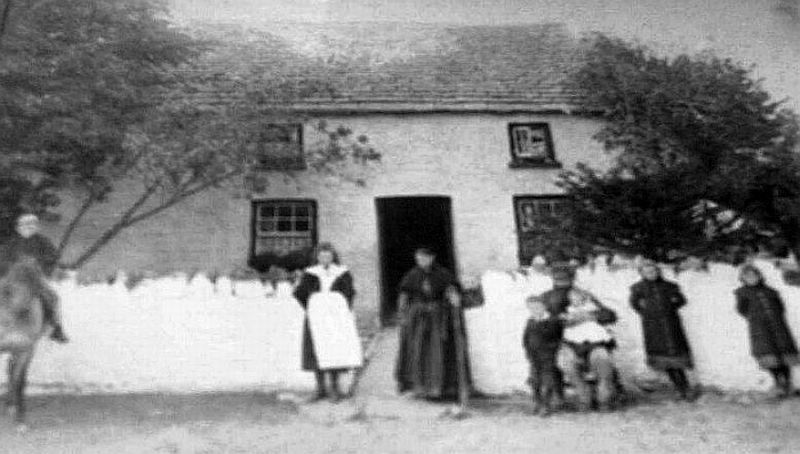 After some time in use as a garage, Pantglas Cottage is now a dwelling again, but is now known as Bryncoch Cottage. Thanks to Mr William Watkins (Grandson of Morgan Morgan above) and Janet Cross for the images and information on this page.